Your Words Of Encouragement Mean Everything! The customer reviews we receive each month are nothing short of inspiring. It's amazing how just a few kind words of encouragement can make someone's day so much brighter. Because of the feedback we receive we feel a special bond with our readers, and it's that connection that keeps us searching for the next great leadership idea that we can share with you. At Leadership-Tools.com, we pride ourselves on doing a great job for our readers. We strive to provide great leadership tools and resources that you can quickly use in your daily work environment. So when a reader takes the time to share with us how our work has made their lives better, or helped them to overcome a particular challenge - it motivates us to do even more; to be even better and to provide value to our readers at an even higher level. Over the years we have received literally thousands of customer reviews from readers who thank us for providing so many high-quality and free leadership tools, resources and training information. Believe us when we tell you, each and every email we receive means the world to us. In fact, we can't hear from our readers enough. Below we have provided a sampling of customer reviews, comments and site testimonials, which provide rock solid evidence that we actually do what we say we do. To all those readers who see their name below, we'd like to say, "THANK YOU" again for taking the time to share your comments of support. For readers who wish to express their gratitude, provide words of encouragement or submit suggestions to further improve our site, please submit your comments using the Contact Us form. "I work for a company that is busy restructuring and downsizing. I have been very concerned for my staff members and their ability to live up to the expectations of the new CEO. I have found the tools on this site extremely helpful with their retraining and keeping their moral from plummeting. I appreciate how easy the site is to navigate." "I am planning a career move into a leadership role at work and some of the tools on your site are very valuable to me in that move. Thank you." "I can't believe you actually delivered. So many sites use a ploy to get you to buy something. I appreciate that you actually delivered quality products. Thank you. I will be here and send others here to learn and grow." "This is a very comprehensive and informative site. I have a Masters in Leadership and Management and have found that your site contains excellent resources for managers and leaders to use. Thank you." "This website contains everything an individual needs in order to become ready for a successful business. I really think that these free tools will assist me in my catering business." "Excellent! I am completely WOW'd by your exceptional products... life changing. Thank you!" "I've been browsing and exploring your site, expanding my horizon about the subject of leadership. Thanks for sharing a lot of precious tools freely. I think it's one of the best resources available for leadership information. Keep up the good work!" "A truly helpful site. Easy to navigate and a wealth of useful information." "I am so very pleased that I came across your site. It is every readers dream. Thank you so much for introducing many enlightening books." "This is such an awesome resource for anyone who is looking to improve any aspect of their lives. What a find!" "Finally a site that does what it says. Thank you for your great help!" "Your motivation to inspire leaders and aspiring leaders is as clear and as excellent as your website. More power to your website!" "Wow, what a perfect collection. I was looking for some powerful quotes to inspire my day and was directed to your site through a Google search. I couldn't close the window that opened afterwards. You are a blessing. Keep it up." "I'm still reviewing all the wonderful information in this great site. I have book marked it and will return very soon!" "Excellent. Outstanding material - everyone needs to have access to this incredible life-changing information." "I am in the process of finding a new job and the information found through this site will play a big part in my success." "I am so pumped about the information you give in this website! This is great stuff. Thank you so so much." "I have read so many books from other sites (referring to Pushing To the Front) and none has ever had a lasting impact on my life that this one has." "I have not yet looked into all the nooks & crannies of your site, but from what I have seen so far I am very exited. I only wanted information on team-building activities and have found a wealth of other relevant information. Thank you so much for making it accessible to me." "This site is absolutely wonderful. I am putting together a Certified Life Coaching Program and the information on this site will definitely help me with doing so." "I found this site when looking for marketing materials. What I found was more than how to market a product but how to develop myself to move successfully forward in all areas of life." "This site is awesome. Gives so much information for you to continue in your leadership training, along with learning how to get your staff motivated." "Currently studying Accounting and Business Management, and after hours of exhaustive frustration with other websites' information, I found your website and utilized one of your free Excel Spreadsheet tools. This tool was extremely helpful and I completed my assignment successfully with the valuable resource and information on your website. Thank you!" "It is an excellent web site. I feel motivated and invigorated by all the articles. Good food for thought! Thanks a lot." "Service is the rent we pay to be living. It is the very purpose of life and not something you do in your spare time." "Richard, Thanks very much. I look forward to reading the monthly tools. I had a quick look at the past issues and I must say I am impressed. The articles are concise and sharp and most of all a quick read that can be used to reflect and consider taking action on." "Hello! I have been receiving your monthly newsletter that is jam-packed with ideas that I can use at our upcoming convention. I will be hosting our Annual Leadership Summit and train others to be great leaders within each of their respective states. Thank you so much for having such a great resource for me to use! I love the quotes and articles. Thanks again." “My daughter is the manager of a small sports clothing store. She is only 23, and the articles that you have are great! I am an educator, and have recommended your website articles to several people in my graduate class. Education administration is moving in the direction of business, and the articles are upbeat, inspiring, and deal with everyday people-problems in very positive ways." “Hello - I am very interested in receiving your 360 Leadership tool. I am planning an off-site meeting with my management team and look forward to using this tool. I discovered your webpage today and am very impressed. I have signed up to receive your monthly newsletter and have spent the last hour or so reading past issues. I can easily see where this will be a useful tool not only for myself but my management team as well. Keep up the good work. Thank you!" "Even though I am using this for ideas for the National Honor Society (I am the advisor and High School teacher), I have been able to take some of the ideas and apply them to many different settings." "One night I went looking to inspiration for myself and my team. I stumbled upon this site and it has been an invaluable source. I will continue to use this as a starting point in my life and work." "Excellent! This site is full of practical information for the small business owner. It allowed me to get all the information I needed to start a successful consulting practice." "Are you kidding me....I don't know what I actually expected... but you certainly surpassed it! May you be more than blessed in your efforts to help others!" "I must say that it is such a joy to get the newsletter! I don't always have the time to search websites for information, but when it comes to me prepackaged as a letter - it is much easier to digest. In my company morale was a huge issue, as it is in many I am sure. I implemented the "Morale Committee" where I serve as CFO (Chief Fun Officer) and we do all kinds of silly things. Usually we try to find out what people like and don't like before we get little thank you's, birthday presents, and anniversary gifts. I don't know why it ever slipped my mind to just ASK! That is the purpose of this email - to say thank you for your "My Favorite Things" tool. This will be super simple to keep up with, and this way no one is ever disappointed. Keep up the good work." "I was referred here by a friend, ever since your website has become my breakfast, lunch & dinner. It has not only been valuable to myself but to my family & employer. Many Thanks." "Thank you for coming up with this excellent website. I have been looking for a long time for a similar resource but most of them, you need to register and pay for something. Since I started reading I discovered a lot of good information worth reading. It has so far given me an assessment tool of my Leadership style in managing a team. In fact, I have been sharing some of your articles to my co-workers, associates/managers. I hope all the best of luck to the team behind this excellent website. God Bless!" "Professionally organized, easy to navigate and a very helpful source of information for me at a time of need. Thanks, to your staff and all those who put together this much needed information for Free... thank you again for enabling me to get professional assistance when I couldn't afford to purchase it." "I think that your website has many inspirational poems on it. I needed one for a devotion for youth group and I found many that I liked. Now I just have to choose one." "I was referred to this site by a friend & I discovered that it's a great site with wonderful tools for enhanced day-to-day living. Thanks for your generosity in providing the world at large with these valuable materials." "This site provides a vast amount of wisdom and resources all in one place. Well managed and cost efficient for all managers and supervisors. This site should be required training for any business that wants to truly succeed." "Very excellent website! It has improved my confidence and helped to promote my team building skills among my team members. I look forward to reading each edition of your free monthly newsletter. I've already referred some of friends and co-workers to this website." "Excellent, your site is simply fantastic - it provides knowledge for those that are just starting to learn about leadership skills and how to use them in everyday life, or in a workplace environment." "I very much enjoy this website. Since I am a student mentor giving leadership seminars to younger students, I very much appreciate a website where I can find a ridiculous amount of very useful information. Thank You!" "Thanks for some very helpful tools. I am the newly appointed Customer Service Team facilitator at my company, and I was at a loss for fun warm-up tools. Glad I found them here." "Your site is a really wonderful source of great advice. You are really providing a wonderful service of spreading quality knowledge, without a price tag. Thank you." "Excellent site. Fantastic to experience an informational and inspirational site like this. Wow, you guys are awesome sharing these tools with the entire world. Thanks!" "Navigating through your site has been like going on a leisure run along a sun and sand-filled summer beach... excellent... refreshing... educational... fun! Thanks." "So far your site offers more in one place than I have found from hours of searching the Internet. I work with student leaders in a high school setting and I’m really looking forward to exploring your website more in an effort to aid our students in becoming proactive leaders throughout their lives." "I honestly wasn't expecting much from this site, but one click led to another and I think it's going to end up being an often used link on my favorites list. Thanks guys!" "Richard, I thank you for having the foresight to develop this site. I have decided to quit my job and take time off for my children's educational needs. This site will certainly help me remain motivated while I undergo my own self-development path. Thanks once again." "One can learn a lot from this site. Not only will the site enhance an individual, but it will also provide information on how to successfully develop necessary skills needed in an ever-changing work environment." "As a new manager, I’m now using these tools to help me try to provide enhanced leadership to my staff. It’s great to find a place that isn’t just out to make money from you for these tools. Thanks." "This is the first time that I have ever came across a leadership site that offers so many leadership tools, resources and helpful assistance that is free. Thank you." "This is only my second visit to your site: Just unbelievable... the value you are adding to people's lives is simply amazing and inspirational!" "I found this site highly inspirational as I've had a tendency to lose enthusiasm and focus very easily. Many thanks for rekindling my hopes." "Excellent site! I used the tools to help me complete my post graduate degree certificate in Management. Very useful tools and an easy site to access and navigate. Thank you." "I recommended to my son in college that he not only bookmark this page but to use it daily." "Great site on the subject of leadership. As a manager and Army Officer I find this website to be a wealth of information. Thank you." "As a junior sailor in the Navy, the opportunities to prove yourself as a leader are rare. Using the knowledge and tools in this outstanding website make it easy to take advantage of these priceless occasions and to show exactly what I am capable of. THANK YOU." "In a world today where there seems to be a leadership crisis, it is good to have a site such as this to spur the younger generation on to take up the mantle of leadership. As said by John C. Maxwell "Everything rises and falls on leadership". Thank you and God bless you for your work toward this cause." "I have just signed up & I'm already excited about all of the information available in this site. I expect to spend a lot of time here learning everything this site has to offer. I'm certain my family & friends will all find something here to assist them in their own lives too! Thanks so much for sharing all of this knowledge with me (& them)." "This is my first visit to your site and I am already hooked! Thank you for providing so much free stuff... it's really unbelievable. I wish you every success and will definitely introduce your site to my friends. THANK YOU AGAIN." "This has been the most helpful site I have come across since opening my business. It is nice to see that there are still sites out here that are willing to help the little people like me. :) Thank you so much!" 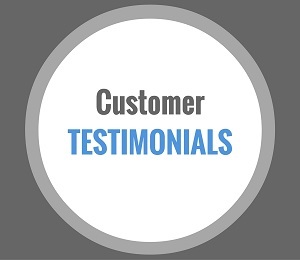 "I am a first timer in your site and I have learned a lot already, I haven't even gone through all the contents in your site. As an HR person, this site will really help me in our company seminars. Thank you for having your materials for free." "As a life coach I am always looking for information on personal development and this site provides excellent information and tools. Thank you." "I just found your website and I am so glad I did. I'm so excited to start using all your great information to grow my business." "Iron Sharpens Iron, I believe this is a platform for sharpening one another in Leadership." "As a consultant I have found your site incredibly valuable to both myself and my clients. A central stop for inspiration." "Excellent information that creates the "over the top" difference in motivating and guiding success. As a coach, teacher, facilitator and trainer I will refer many to this information and website. Thank you!" "Very useful material and excellent presentation. I especially love the honesty with which the seminar is given. Keep it up!" "This site is just amazing! It is truly an asset to any business owner and leaders in making. The site is easy to navigate and is packed with useful information and tools. THANKS A BUNCH." "I am a High School Business & Computer Science instructor and teaching leadership skills is a part of my everyday curriculum. This website and the insight I have received has been invaluable." "Love your site, it is just filled with all kinds of helpful information that I have used in creating better leadership for myself and my team. Thanks for making this site available. I refer many associates to this site." "Thank you for all these free materials that you are giving away. I have recently been promoted to a leadership position so imagine my anxiety in making sure I am doing all the right things a leader should do. Your resources are wonderful and very helpful. I wish I could donate on your site but I'm located in Manila and I don't have a credit card or a Paypal account. So please accept my sincerest gratitude instead. All the best." "It is almost like you are waiting for the other shoe to drop - I cannot believe you are offering so many FREE, HIGH QUALITY leadership tools. Awesome!" "A GOLD MINE of expertise, as well as commendable in humanitarian efforts. Highly recommend... with much appreciation." "I am a leadership training consultant tasked with conducting training for newly appointed supervisors and managers. I found your site to be loaded with useful and up-to-date information. Thanks for allowing access to your excellent site." "This site is terrific. It is an excellent guiding tool, informative, etc.. Thanks a lot for providing such a great resource. I look forward to reading the monthly articles, tools, etc.. The articles are very concise. I have recommended this site to my many colleagues." "I think the site contains a lot of really useful information. I have it bookmarked and will refer to it often. I am a new manager and looking to create a culture of change in my organization. The tips and tools contained on this site have already helped me to increase engagement on my team, and I have only just begun!" "I never sign up for anything, even if it is free. However, after navigating your website for hours, without ever getting bored, I signed up! Best decision I could've ever made. All of your tools are one of a kind." "The amount of leadership articles and tools that you give away completely free is truly inspirational. This is true leadership. God bless you." "As a 59 year old trainee manager I am reading everything I can to be a success and your site has opened my eyes. Thank you for your help in making my task a lot easier." "I have thoroughly enjoyed reading the content thus far. This site has not only been invigorating to an impoverished Supervisor, but it has helped facilitate the redirecting of my career. Thanks and God Bless." How Our Readers Pay It Forward? To be clear, although we are proud of the many customer reviews we receive, that's not the main reason we share these customer reviews with you. The primary purpose for sharing customer reviews is to help our new visitors get a good sense of the quality of information they can expect from our website. Most people understand that a website doesn't receive this kind of positive and thoughtful feedback unless there is something extra special going on. A lot of our readers write us to ask how they can repay us for giving them so much for so little. While some choose to make a donation to support our site, others pay it forward by sharing our website with their friends and co-workers. We love that. In addition, other readers take the time to share our good works via social media. ie. Facebook, Twitter, YouTube, etc. Hey, we love that too! But the best way you can help us is simply by taking full advantage of the leadership tools and resources we provide and use them to become a better leader. Helping others to become a better leaders is the #1 way to pay it forward. Thank you for taking the time to visit our website, and please don't be shy if you have some feedback for us. As you can tell, we enjoy reading all of the customer reviews we receive.